Pastor Coleman with some of the children of the church. The Lord called Pastor Coleman to come and be our pastor in 2001. The people of the church recognized and submitted to the will of God and he became the full-time pastor of 35th Avenue Baptist Church in October of 2001. ﻿Just a few months before this picture was taken﻿ (6th grade), the soul of Pastor Coleman was saved after calling on the Lord from his bed during the night. (Silently, because three of his brothers were asleep!) He couldn't sleep after ﻿hearing﻿ Evangelist George Long preach a strong, salvation message on hell earlier that night (Friday), the last night of a revival at Grace Bible Church in Elkhart, Indiana. A Korean man at Bel Air Baptist Church in El Paso, Texas, (Pastor Dean Lang) took this picture during the Watchnight service, where Pastor Coleman preached his first sermon. He was so nervous and unused to following an outline that he went through it backwards! Jim Coleman, Sr. (my Dad) is one of the most loving and caring men I have ever known. To the right is a YouTube video of him preaching on the street in downtown Tempe, Arizona, in a wheel chair (a result of Guillain-Barre syndrome) while in his 80's. You can tell he loves to teach! 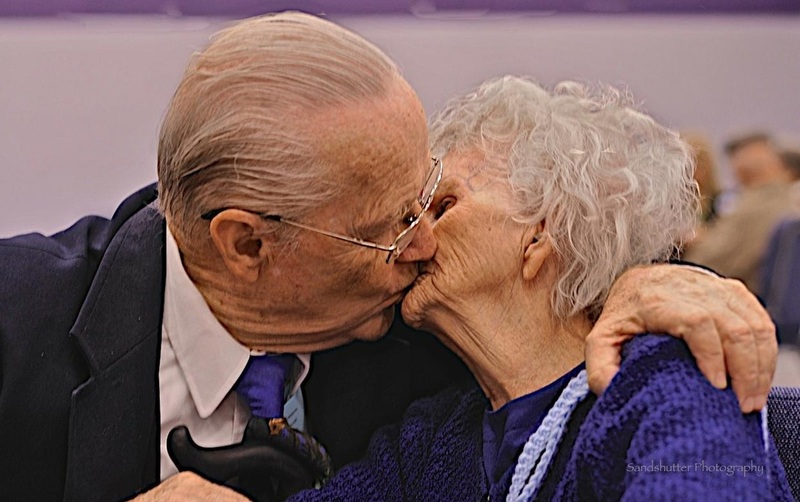 Jim and Myrtle Coleman, still kissing in their 80's! In 2010, a young missionary to Egypt, who attends the same church as Pastor Coleman's parents, took a picture of them kissing. It went viral and was spread around the world, winning first place in an international competition in 2012. "You have no idea the blessing they are in my life, and the reaction I have gotten world wide with this photo! A very acclaimed international photographer has likened the impact of this photo to the one posted after world war II of the soldier kissing the lady on the street after the war ended!" It inspired her to author a photography book featuring people and other of God's creatures kissing. You can acquire your own copy here.